Hope you all had a wonderful weekend!! We are one week away from one of the biggest games of the year! Next week at this time everyone will be cheering for their favorite NFL team for Super Bowl 51. I am so excited to share a new dip recipe with you but sad because I totally forgot to take a picture before everyone started digging in. 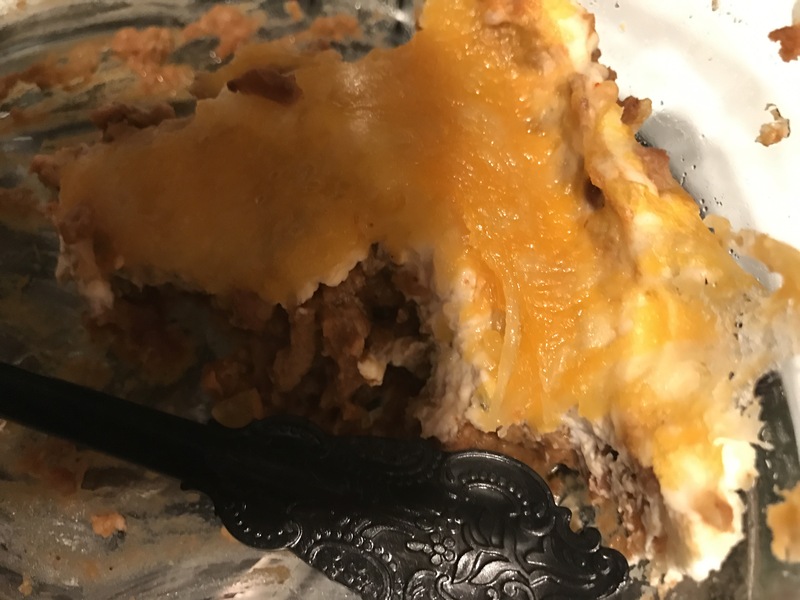 This taco dip is absolutely delicious and so easy to make. I apologize in advance for helping you break your diet plans! Fry your ground turkey or beef in a skillet until brown. Drain grease from the meat and add your pack of taco seasoning and follow directions on the package. 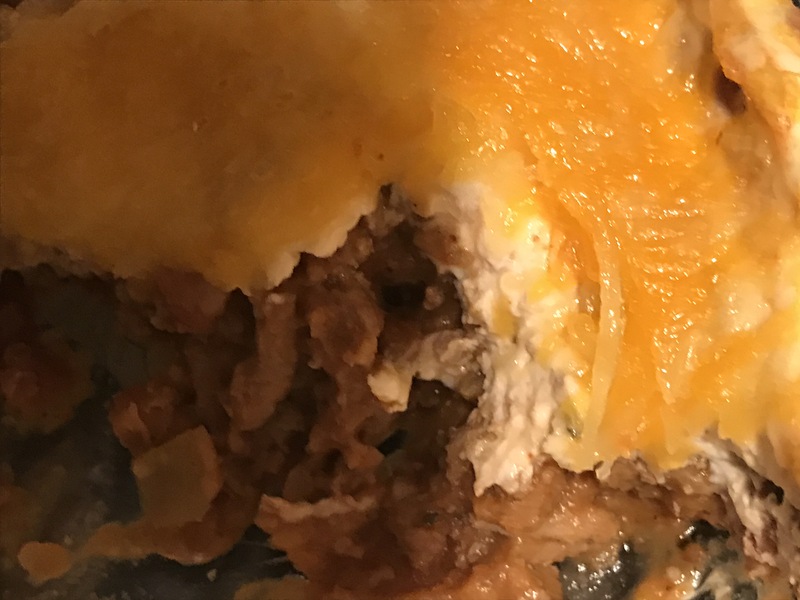 After your meat is seasoned with the taco seasoning add your meat to a baking dish mix in your refried beans and green chilies until all ingredients are mixed well together. Add your cream cheese to the top of your meat mixture and bake on 350 until cream cheese is soft enough to spread across the whole top of the dip. Add the cup of shredded cheese and put back in the oven just long enough for the shredded cheese to melt. Serve dip with tortilla chips! I hope you have a wonderful Super Bowl Sunday next week and don’t eat too much!